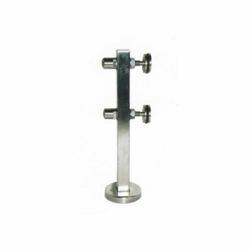 Leading Manufacturer of 304 ss handrail bracket, glass spigot railing fitting, point fitting, ss glass pipe fitting, ss glass point fitting and ss glass spigot from Mumbai. 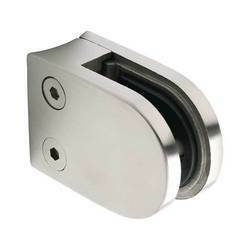 we are manufacturer for stainless steel railing fitting in 202 and 304 grade . 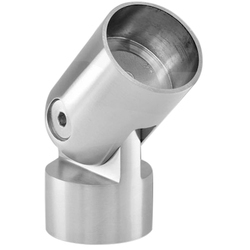 Manufactured in compliance with the set industry norms and guidelines, quality of this Railing Fixture is highly standardized. 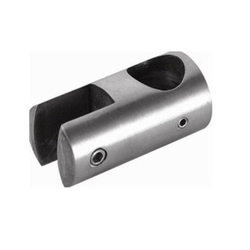 Manufacturing of this range is done utilizing the finest raw materials and modern machines, its sturdiness, dimensional accuracy and resistance to corrosion, is quite high. In addition, the offered range is marked at the most reasonable rate possible. 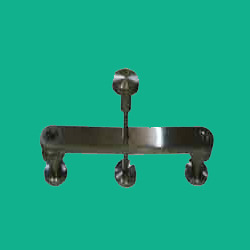 We are manufacturer for all types of glass fitting like spigot , point fitting , slotted pipe , glass bracket , glass patti etc . 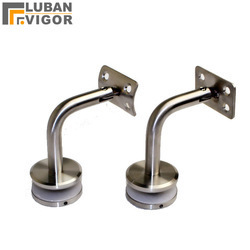 Door Railing offered can be made available by us in different exciting finish standard so as to perfectly match up with the specific demands of the customers. Further, their precision designed construction finish also makes these provide for lasting performance. 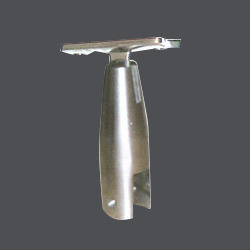 Some of its features include available in options of different sizes; available as per different industry standards; come with convenient connecting support; superior surface finish options. 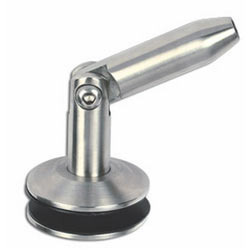 We are offering a wide range of SS Railing Accessories. We provide this front in various customized options as per the requirements of our esteemed clients. Being a quality-oriented organization, we assure our clients that this range of product is excellent on counts of durability and quality. 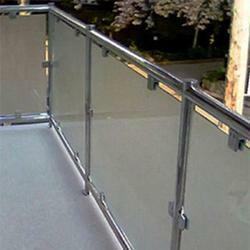 We are the leading supplier of SS Glass Patti made available to our clients at competitive prices. 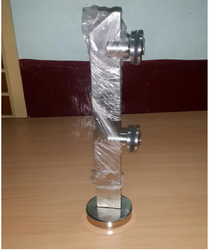 From our wide consignment, we are engaged in supplying "Glass Point Fitting"
Glass Railing Fitting offered comes in quality constructed finish and can be made available in different finish configuration choices so as to perfectly match up with specific end usage demands of the customers. 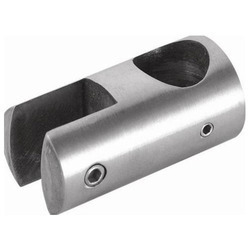 These fittings comprise stainless steel stair railing post, glass handrail as well as associated fittings made available in stainless Steel 201, 304, 304L, 316, 316L grade finish. 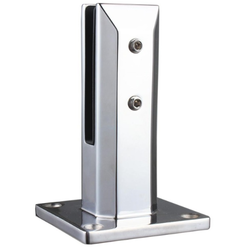 Some of its features include available in different surface choices like satin/mirror polished; option of different post heights; suitable for use in areas like stair railing, balcony railing, swimming pool fence, public railing and other areas. 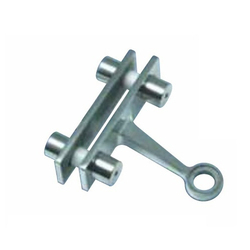 We are offering wide range of One Way Spider Fitting. Widely being used to joins glass panel with ceiling/wall, these products are sourced from certified vendors of the market. Further, we ensure to deliver these products on given time frame. 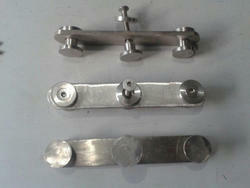 We are offering wide range of SS Glass Fitting. The offered product is manufactured using raw material and advance technology in complete compliance with the set industry norms under the supervision of skilled professionals. SS handrail connector avaible in 202 , 304. All glass handrail acessories avaible in stock. 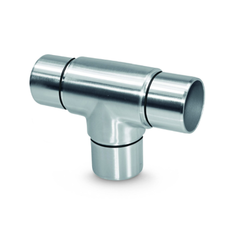 We manufacture and supply the finest range of Glass Fitting utilizing the finest raw materials and modern machines, in compliance with the set industry norms and guideline. Owing to this, the offered range is known to be amongst the finest that are available in the market. In addition, the offered product is marked at the most reasonable rate possible. We have with us a multitudinous range of stainless steel glass stud that find usage in the building and construction industries. Understanding the diversified requirements of clients, we design this range in varied shapes, sizes and dimensions. 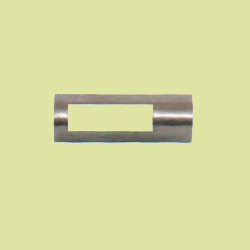 Clients across the nation can avail these premium quality and dimensionally accurate glass studs from us at market leading prices. 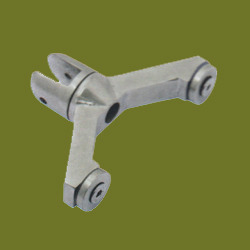 We are offering wide range of Spider Fitting. 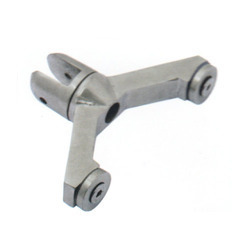 The Spider Fittings, we offer are widely demanded amongst the clients for their availability in different sizes and specifications. Also, the accurate dimensions of our Glass Spider Fitting attract the customers most.